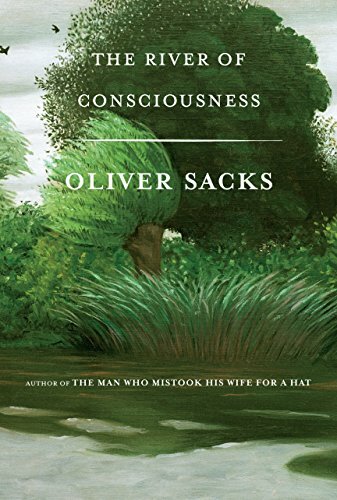 This posthumous collection of essays by Oliver Sacks, one of two books he was working on at the time of his death, bears the qualities that endeared him to countless readers: his ability to turn clinical cases into literature, to make unexpected connections among far–flung disciplines, and to relate nearly any topic to historical arcs. Sacks’ insatiable curiosity makes it impossible for him not to veer off into digressions, amplifications, and copious footnotes in this last oeuvre. Death did not break him of this longstanding habit, a practice that gratified many and irritated a few. Such intellectual excursions are to be expected from a capacious mind that began reading widely, and deeply, starting in childhood, and who simply presumed that any subjective experience was fair game for dissection. The River of Consciousness does not have a typically unifying theme. Rather, Sacks engages one last time with the heady topics of time, memory, creativity, evolution, subjectivity, and consciousness. He essays about his intellectual heroes Darwin, Freud, and William James, particularly the way in which their discoveries speak to personal meaning. The essays are strewn with profound questions, such as how a sprinter “can be off the blocks in 130 milliseconds,” when “the conscious registration of the gunshot requires 400 milliseconds or more?” Sacks patiently walks us through the answer. Along the way he explores the fallibility of memory and the reawakening of memories that have lain dormant for decades. Aside from the ease with which one can implant false memories, their measurable electrical activations are identical, “whether the ‘memory’ is based on experience or not.” Turning to Helen Keller as an example, Sacks illustrates why what we feel as true “depends as much on our imagination as our senses.” Cryptamnesia, or forgetting what we once did or said only to have it reappear later on, may be necessary for creativity, in which old memories are mixed and shuffled and reborn again as something new.